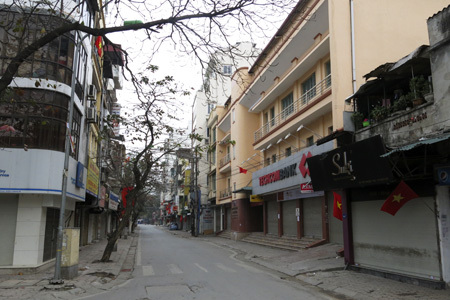 Tourists who are familiar with congested streets in the capital city may be astonished at empty roads on the first day of Tet. 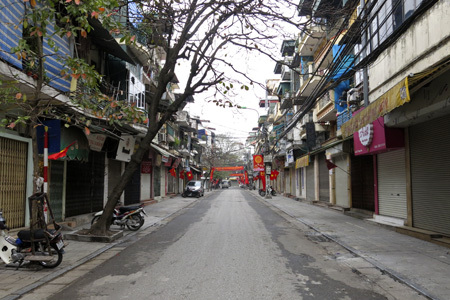 Tourists who are familiar with congested streets in the capital city may be astonished at empty roads on the first day of the Lunar New Year. 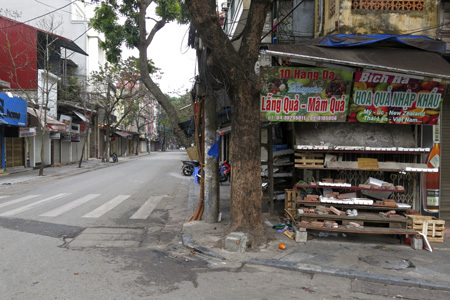 Most migrant workers in the city have returned to their home towns, businesses and industry have closed for the holidays and Hanoians are spending time with their families, leave the capital’s main streets nearly empty. Peace and harmony has replaced the usual chaos creating a feeling of elation for photographer Huu Nghi. Here DTiNews shows new year’s day in the capital through his lens.